BoldGrid is a suite of plugins that enable you to create WordPress websites faster and easier than ever before. 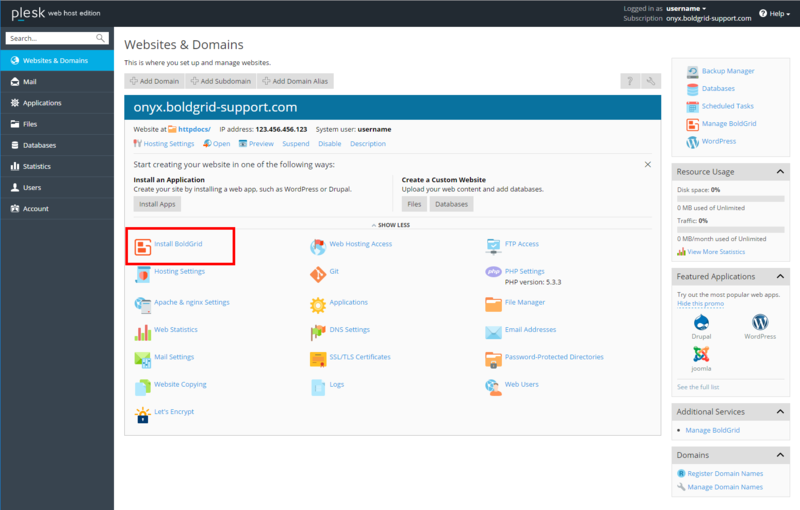 In this guide, we will demonstrate how to install BoldGrid from within your Plesk Onyx 17 Web Admin interface. Log into your Plesk Onyx 17 Web Admin dashboard. Next, click on the Install BoldGrid icon. Now you must complete the installation settings form. This field is only used if you want to install BoldGrid into a subfolder. In that case, enter the subfolder name here. If you want to install BoldGrid on the domain itself, just leave it blank. An default admin name is created here for you. You can either keep it or replace it with your own. Last, click on the Install button. 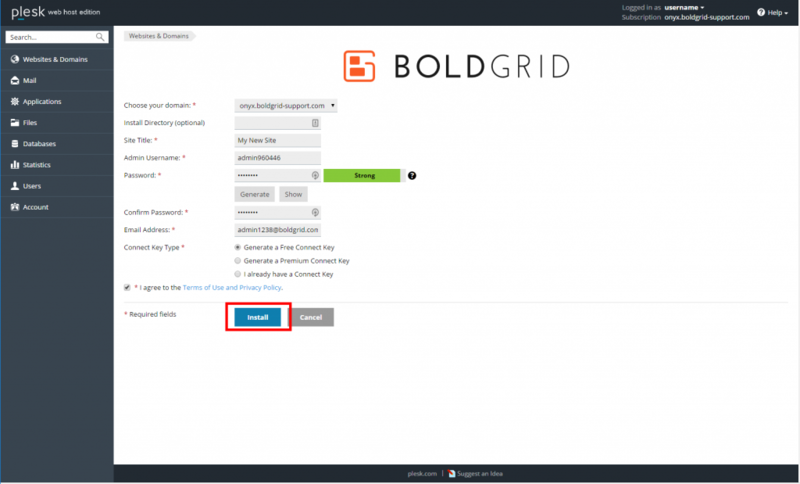 BoldGrid will then install onto your account. Once you receive the successful install message, you are ready to log in and begin creating your site.